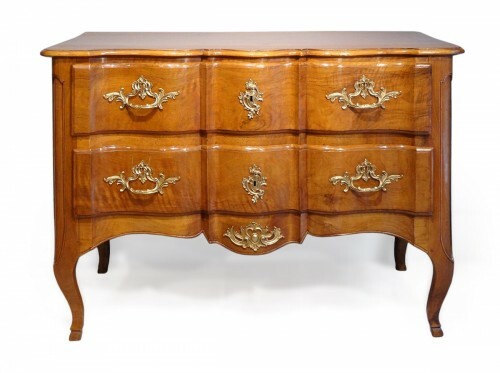 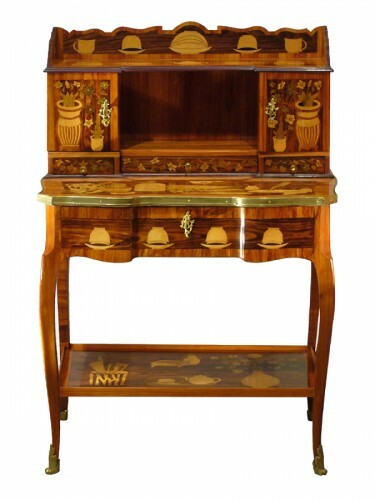 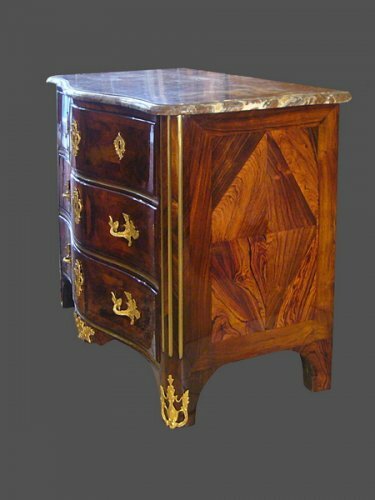 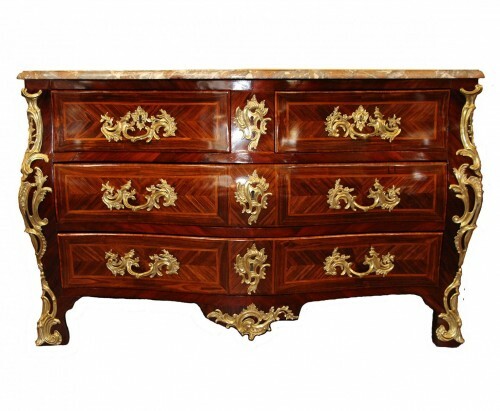 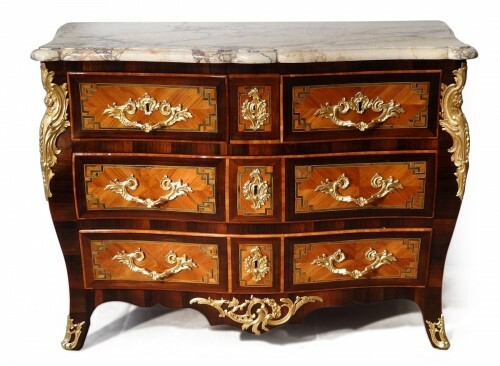 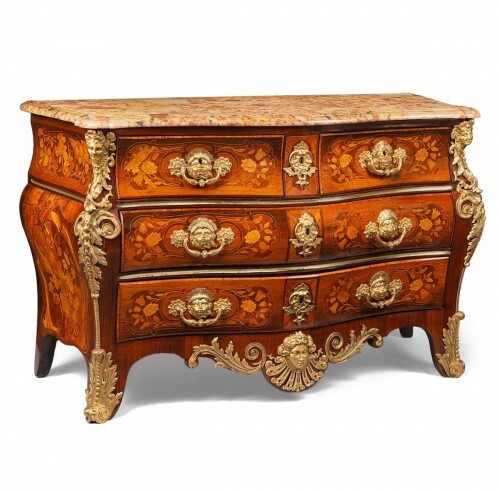 Small front curved veneer rosewood inlaid with geometric leaves commode. 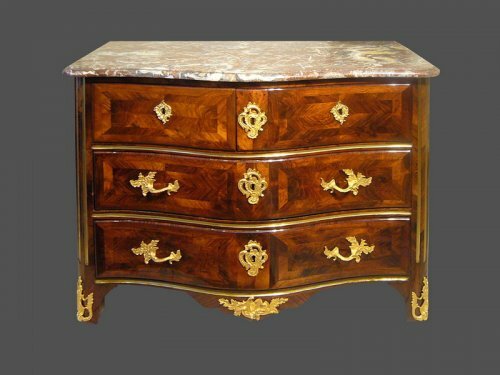 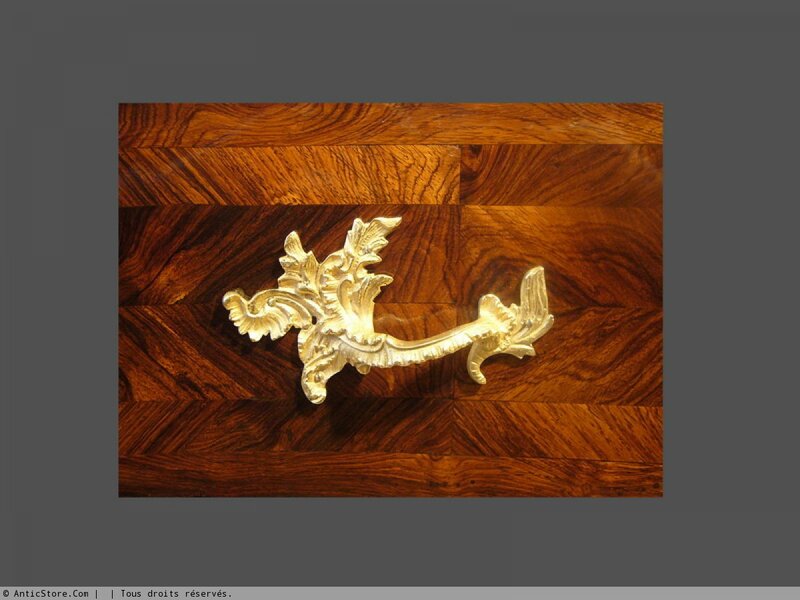 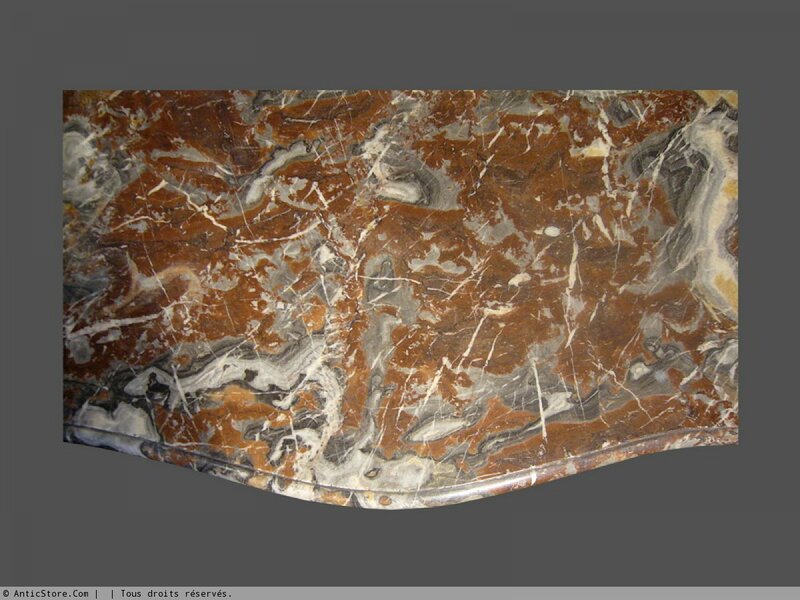 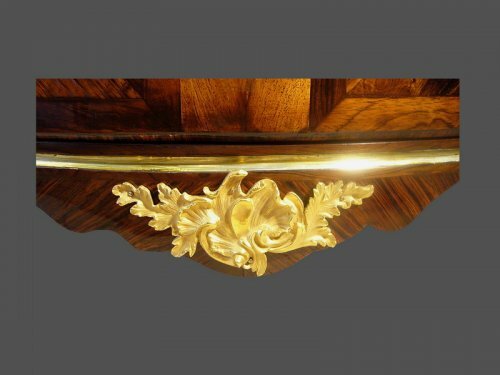 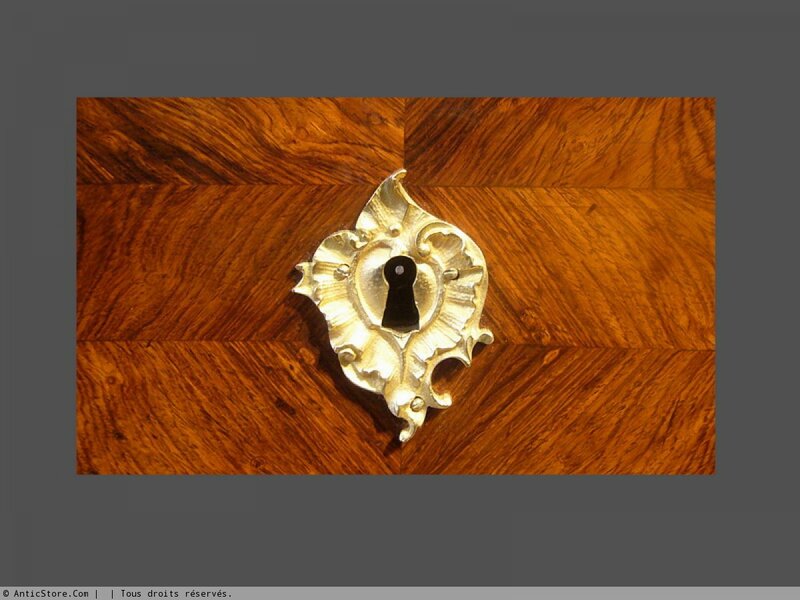 It opens with two drawers under the marble and two long drawers separated by a groove dark brass. 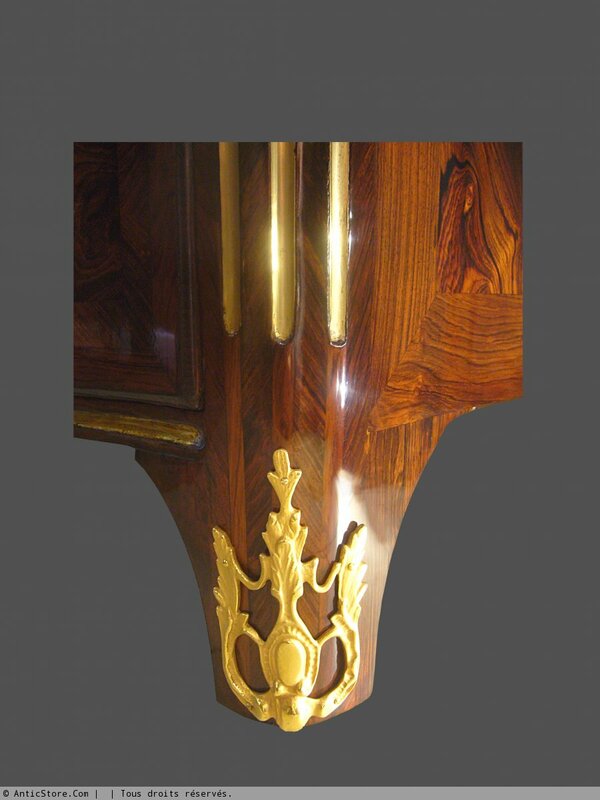 Large front uprights triple fluted brass. Sides inlaid diamond circle inscribed in a rectangle. It is based on small straight legs. 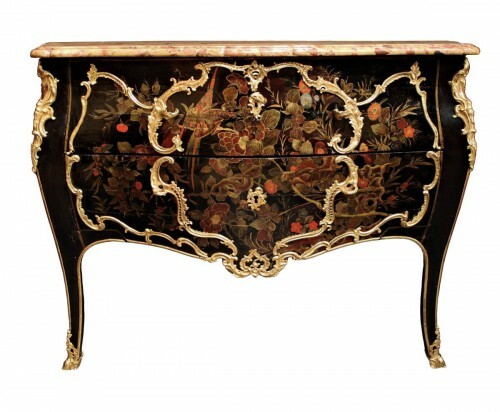 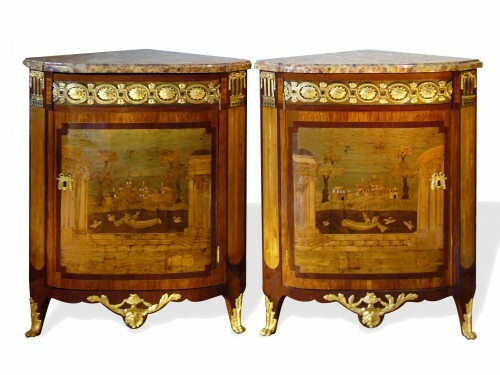 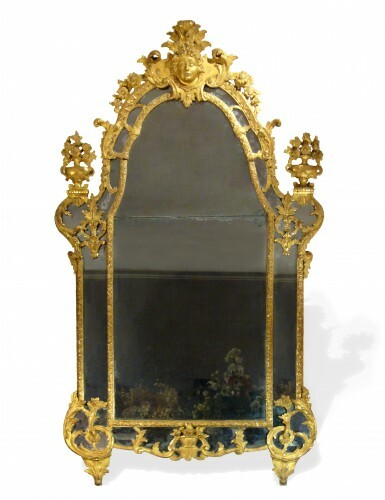 Beautiful Parisian work of the first half of the eighteenth century.